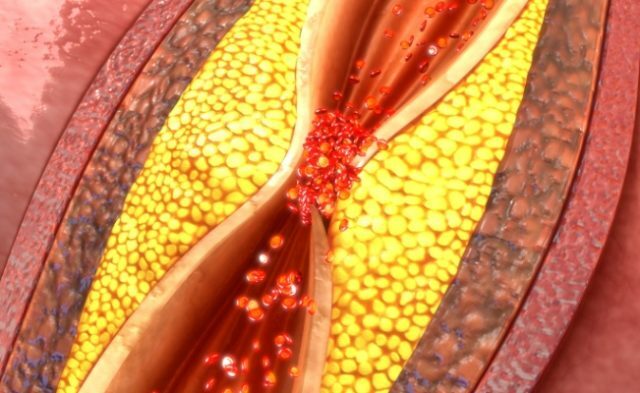 HealthDay News — For patients with prior percutaneous coronary intervention (PCI), perioperative aspirin seems to be beneficial, according to a study published online in the Annals of Internal Medicine. Michelle M. Graham, MD, from the University of Alberta in Canada, and colleagues performed a subgroup analysis of a multicenter trial to assess data for adults age ≥45 years who had or were at risk for atherosclerotic disease and were undergoing noncardiac surgery; 4998 patients in the overall trial and 234 participants in the subgroup analysis received aspirin therapy, while 5012 patients in the overall trial and 236 in the subgroup analysis received placebo initiated within 4 hours before surgery. The researchers found that aspirin reduced the risk of the 30-day primary outcome of death or nonfatal myocardial infarction (absolute risk reduction, 5.5%; 95% CI, 0.4%-10.5%; hazard ratio [HR], 0.5; 95% CI, 0.25 -0.95 [P for interaction =.036]) and the risk of myocardial infarction (absolute risk reduction, 5.9%; 95% CI, 1%-10.8%; HR, 0.44; 95% CI, 0.22 -0.87 [P for interaction =.021]) in patients with prior PCI. In addition, the effect on the composite of major and life-threatening bleeding in patients with prior PCI was uncertain (absolute risk increase, 1.3%; 95% CI, −2.6%-5.2%). Aspirin was correlated with increased risk for major bleeding in the overall population (absolute risk increase, 0.8%; 95% CI, 0.1% -1.6%; HR, 1.22; 95% CI, 1.01-1.48 [P for interaction =.5]). “Perioperative aspirin may be more likely to benefit rather than harm patients with prior PCI,” the authors write.